Sad,little kids need a place to cool off on hot days…. Have fund raisers ,people would help out for kids to have fun!! They have the money, Stephanie, just need the time to get the work done. it’s a shame the city couldn’t take care of this….. This is the ghost of former Mayor Bozeman’s past coming home to roost. Allowed highly proprietary equipment to be installed without consideration of maintenance cost. Add current Mayor Lent’s lack of attention to needed maintenance preferring more to build new what she sees as “her legacy” and you now have expensive maintenance issues that can’t be afforded. 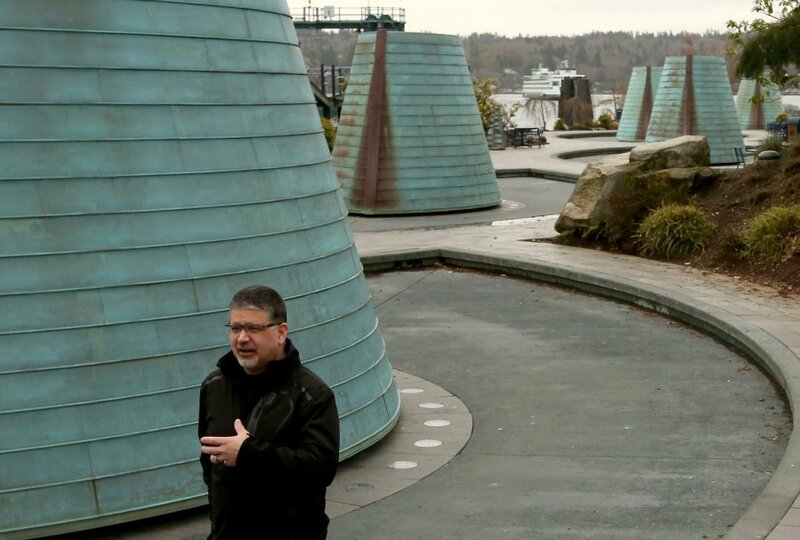 Question: Why does Bremerton build new parks that the citizenry can’t afford to properly maintain? Answer: They can use “other people’s money” rather than funding from their citizenry to do it so maintenance is not major part of the consideration. I wonder, have there been any cases of sickness from playing in the fountains? What caused the departments of health to become interested? The technology (and rules) certainly exists for keeping swimming pools safe. 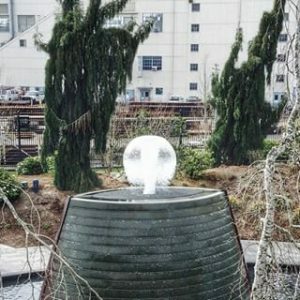 The international fountain at Seattle Center has been operating for years-so did Bremerton’s engineers ignore that experience? 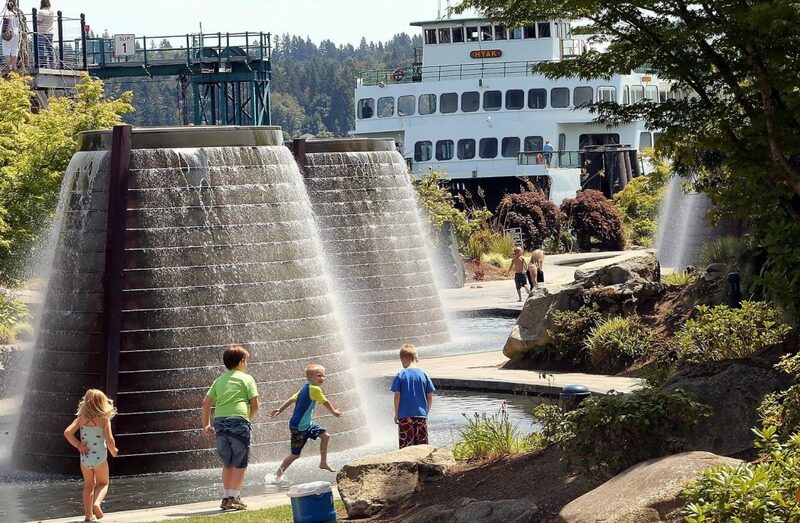 Bremerton cannot encourage tourists, when their first view is one of a failed system. The fountains weren’t intended to be played in, and therefore weren’t designed for the chemicals used to keep swimming pools and fountains clean. The local Bremelos decided to turn them into a free water park. I know that the fountains were shut down to be upgraded for use as wading pools, something they were not originally designed for. If this is the case, why are the fountains up the road not shut down too? Why is a “please don’t swim in the fountain” sign good enough for the fountains at Pacific and Burwell, but not good enough for ferry terminal fountains? Aren’t the “risks” to the public the same at both? That leads to the next question: If a “swim at your own risk” sign is enough, why not put those signs up for the summer and do the repairs in the fall / winter when nobody uses the fountains anyway? The fountains up the road are not meant to be played in, and as such, the state and county departments of health do not wish to regulate them as recreation pool facilities. The city does not treat them (mainly with bromine) like they do the fountain park. (Some work was done at the Memorial Park fountains in the spring, though). On your next question: the fountains were in pretty bad shape this spring. You raise a good point about the work being done in the winter. But from what I was told, the Harborside fountains were at a point this year where continuing their use as is posed even greater risks to their innards and the parks department could not continue the bandaid approach for any longer. Thanks for the follow up Josh. Its interesting that the intended design seemingly matters more to the health department than how the fountains are used in practice. I’ve seen kids playing the upper fountains all summer…. right next to the “do not play in fountain” sign. Its a good thing I think. As much as that park cost, its great to see that people are finding uses for it that weren’t actually foreseen by planners. As bad as parking is down near those fountains they are full of people all summer.